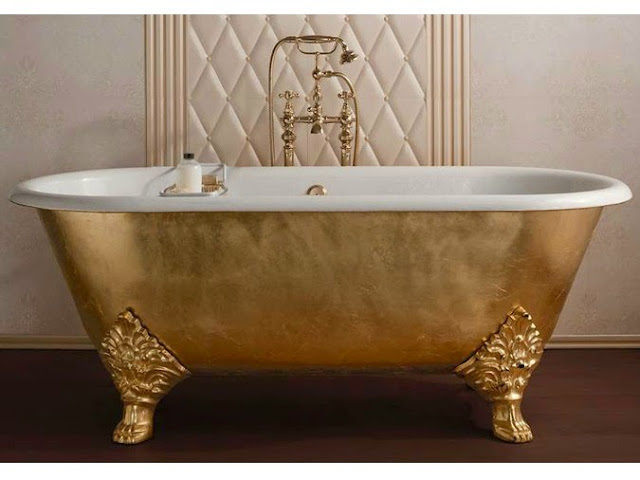 Lush Fab Glam Inspired Lifestyle For The Modern Woman: Beautiful Bathroom Decor: Metallic Claw Foot Bathtubs. 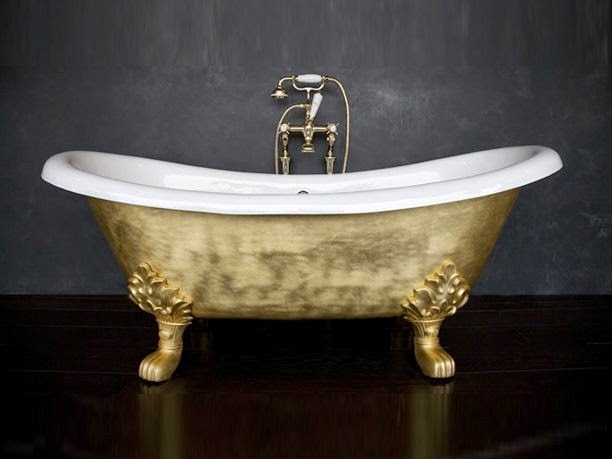 Beautiful Bathroom Decor: Metallic Claw Foot Bathtubs. 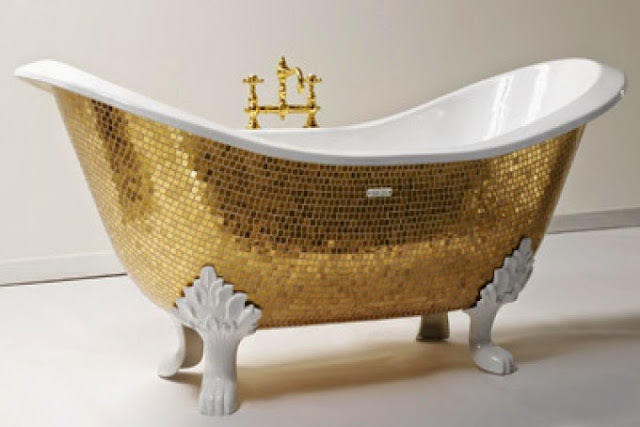 Beautiful Bathroom Décor Featuring Metallic Claw Foot Bathtubs. 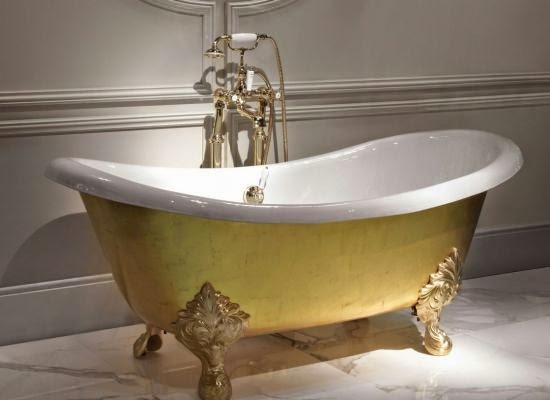 Gone are the days of settling for white vinyl bathtubs as luxury and glamour returns to master bathroom design. We are head over heels in love with the re-emergence of the timeless and elegant claw foot, cast iron tub and it's new modern flare. 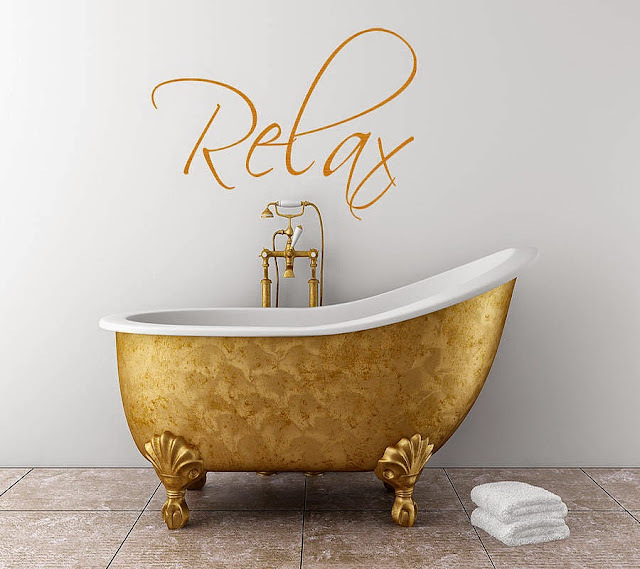 Easily elevate you master bathroom style with the addition of a metallic bathtub in royal gold, glamorous silver or classically vintage bronze. 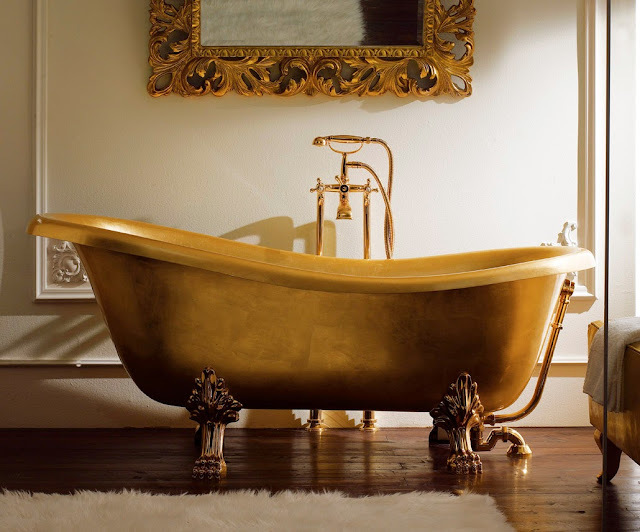 You can choose to add this metallic look to the entire tub or just the outer layer to create a less baroque look. 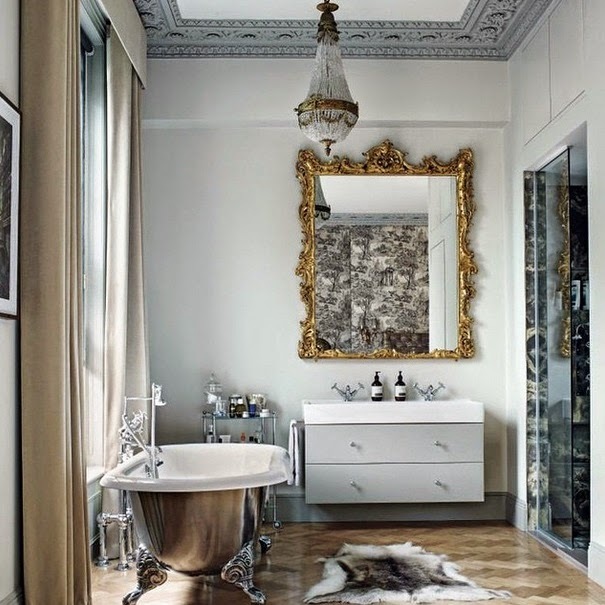 Click here to see more beautiful bathroom designs from ultra modern to eco friendly and classic glamour. 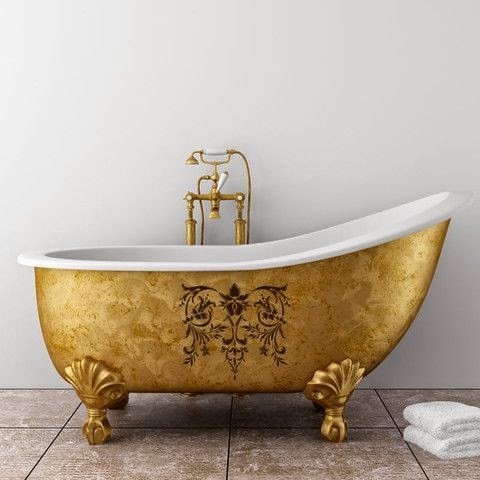 Are you a fan of the metallic and claw foot bathtub designs and which featured tub would you love to have in your bathroom? Share with us by leaving a comment below.